Great knowledge about their products. I will be back since I just bought a Ram truck. They have treated me great every time! My favorite place to take my jeep. 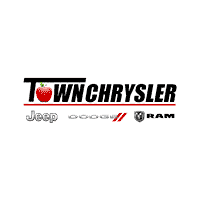 Town Chrysler Jeep provides the ABSOLUTE best in Sales, Service, professionalism, and response. They listen, they look, they care about customers. First rate products and people. Thank you Town Chrysler!